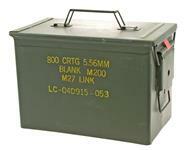 Ammo Can, .30 Cal Olive Drab Steel Can w/Hinged Latch Lid. 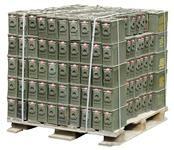 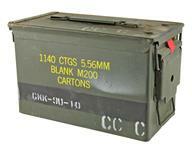 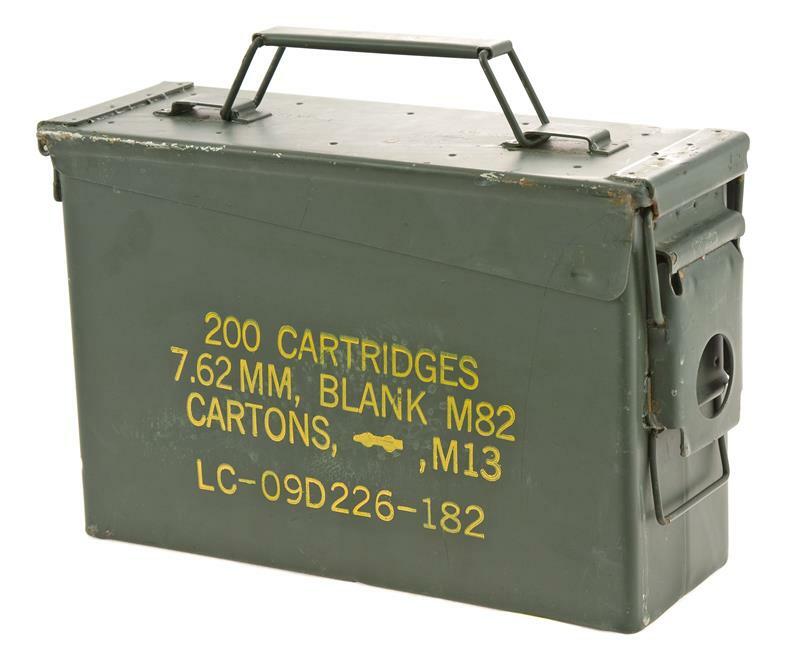 Category Military Surplus Ammo Cans Ammo Can, .30 Cal Olive Drab Steel Can w/Hinged Latch Lid. 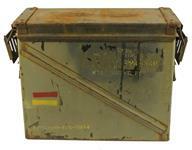 3-3/4"x10-7/8"x6-7/8"
This is a genuine U.S. military surplus, olive drab steel can with hinged latch lid. 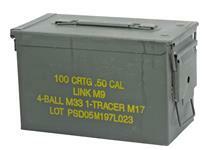 Can measures 3-3/4" x 10-7/8" x 6-7/8" and weighs approximately 4 lbs. 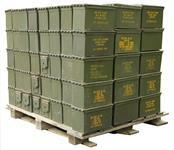 Used, very good to excellent condition. 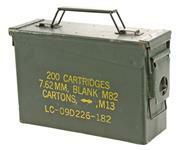 Works great for carrying rifle cartridges or shotgun shells to the range.